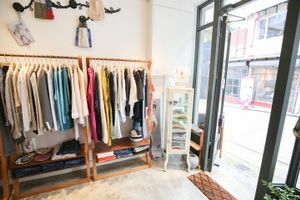 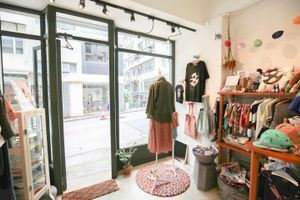 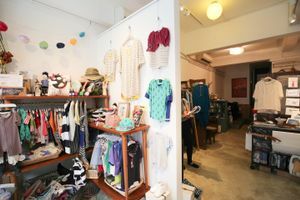 Surrounded by elegant boutiques and galleries, this 450 square feet space in Sheung Wan is available to rent for shooting, Pop-Up events and retail. 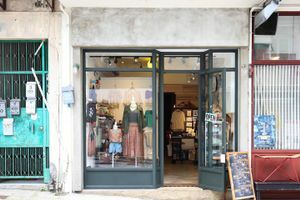 It is situated on the ground floor with a dark green-framed glass door. 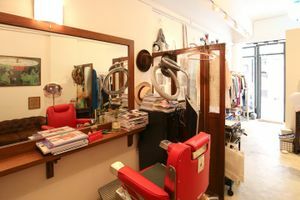 The entire space is equipped with lighting, air-conditioning, sound system and Wifi. 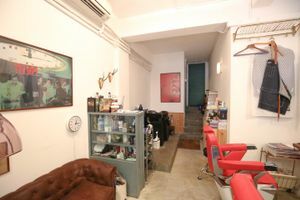 The space is divided into two rooms , both of which feature white walls and cement floor. 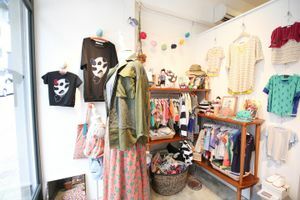 For the main room, a corner near the entrance is designed to capture visitor's attention for featured products. 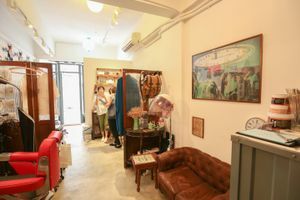 Behind the corner is a counter. 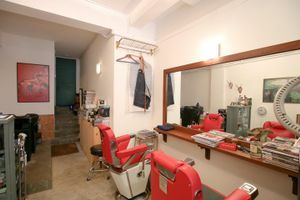 For the second room, there is a hair salon with two red armed chairs, an old style sofa and a hair-washing chair.